Make a difference this Christmas by sending an eCard instead of a traditional Christmas Card. By doing so, you will help us support families affected by Cancer in Ireland. Thank you for sending a Purple House eCard! Thank you for helping us to make a difference this Christmas by sending an eCard. By doing so, you have directly helped us support families affected by Cancer in Ireland. With 1 in 3 people affected by Cancer in Ireland today, your support is needed more than ever. Byron Hayes speaks about the sense of fear and isolation that a Cancer diagnosis can bring to a family. These feelings can be heightened at Christmas due to the emotion that this time of year brings. Watch Byron’s video here to see how Purple House has helped him. The Team at Purple House. Our newly designed 2016 Purple House Christmas Cards are available to buy online now! 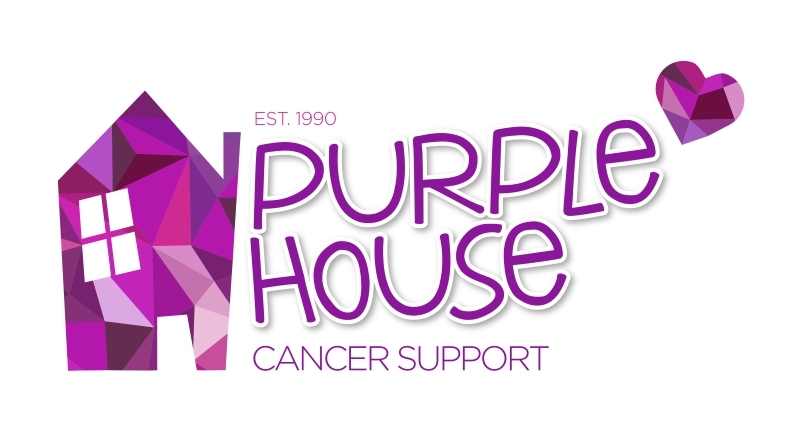 Join Team Purple House in the VHI Women’s Mini Marathon on bank holiday Monday 6th June 2016! Pancake Tuesday is on the 9th February and we are calling on schools, workplaces and the general public to take part in our ‪#‎PurplePancake‬ Challenge by adding blueberries to your pancake mixture! Blueberries are a healthy option and will turn your pancakes a Purple colour! Fancy running or walking 5km in an inflatable Sumo Suit?! Sumo Run Ireland will be back on Sunday 28th August 2016 in aid of Purple House Cancer Support! Join us for a very special Viennese Concert to celebrate the 25th Anniversary of Purple House Cancer Support. Performing at the concert are: Festival Strauss Orchestra & special guests including Bray Choral Society. Christmas can be a difficult time for families affected by Cancer. It is also a very busy time for Purple House Cancer Support, our services are under huge demand at this time of year. You can help us in 5 simple ways this Christmas..
Our wonderful Christmas Cards are now on sale from various outlets. This year’s selection includes Glendalough & St Stephen’s Green in the snow. Hozier’s Signed Guitar Could Be Yours! Hozier kicks off Purple House Cancer Support’s 25th Anniversary by Donating One of his Signed Guitars! The ‘Take Me To Church’ signer & Wicklow native has donated one of his signed guitars and also a signed copy of his debut album Take Me To Church, which reached No.2 in the US charts, to Purple House Cancer Support.